I was in Ireland last week at the official launch event for Rob Kitchin's multi-year, multi-million euro Programmable City project. 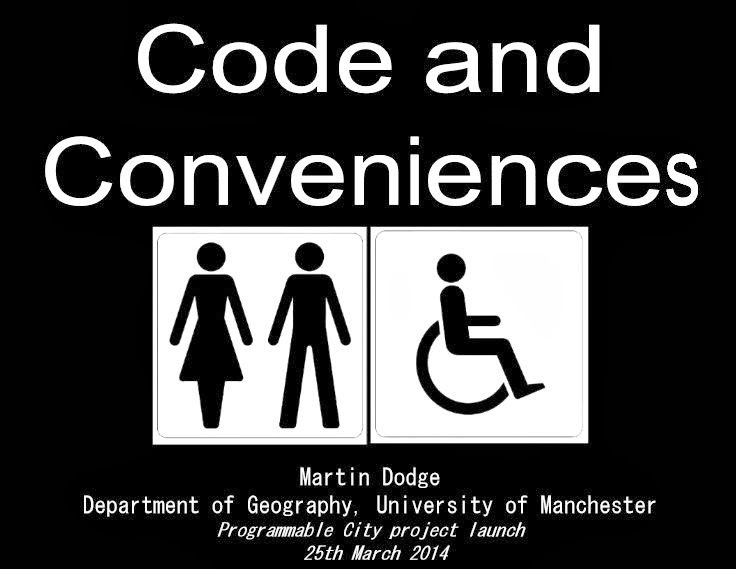 I gave a short talk, Code and Conveniences, looking at software in a small but significant space. It considered how some public toilet spaces are being reshaped, with sensor technologies and software processes deployed to render toileting practices into a sequence of touch-free activities, and the partial action of code to diminish direct handling of 'dirty' bathroom surfaces and fixtures, and the risks of germ cross-contamination. The talk was based on a 2012 book chapter, Towards touch-free spaces: sensors, software and the automatic production of shared public toilets. 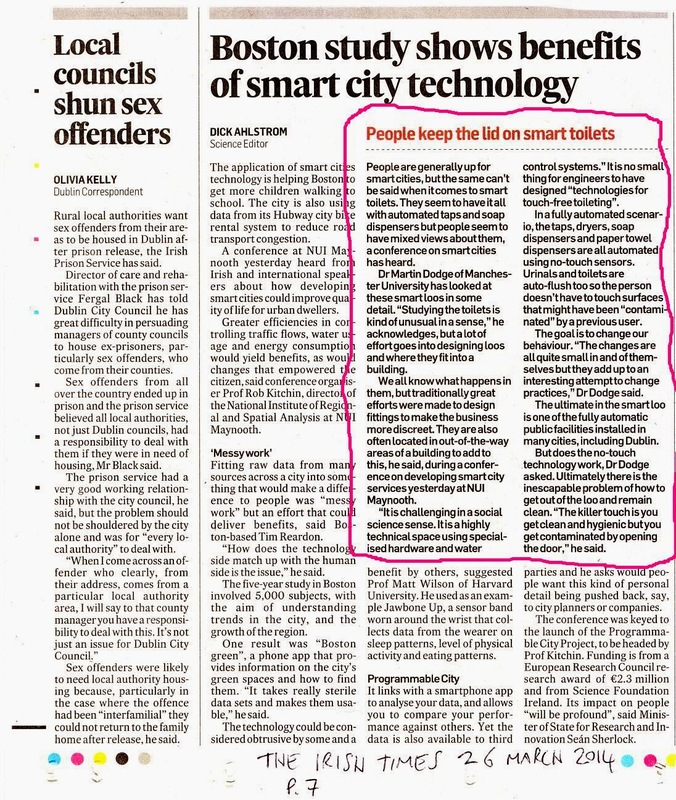 Somewhat surprisingly my presentation also got a bit of coverage in the Irish Times newspaper.